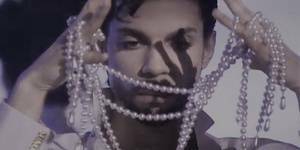 On Saturday, February 16, 2019 The Purple Dove will be hosting its 2nd Annual Purple Carpet Fundraising Gala -Diamonds And Pearls White Night in honor of the Late Great Prince Rogers Nelson and in an effort to raise awareness of Opioid Dependency and the need for Rehabilitation facilities like The Purple Dove. Funds raised will go towards operating expenses of the Purple Dove Opioid Treatment Center in Carmichael, CA. Next year’s event will be held at the beautiful Mirage Banquet Hall, 2159 El Camino Ave, Sacramento,The Gala will commence with a Purple Carpet entrance and a silent auction. Diamond VIP Guests will receive extraordinary treatment as they indulged in complimentary Buttler Passed wine and hors d’oeuvres during the pre-show Meet and Greet at 6:30 PM. Along with Preferred Seating, VIP guests will also have a chance to win door prizes and get a first-look and bid on auction items. Doors will open to Pearls General Admission ticket holders at 7:30 PM and the show will start at 8:00 PM sharp. Guests will be thoroughly entertained as they listen and dance the night away to the music of When Doves Cry a sensational Prince Tribute band that taps into the heart of Prince’s music like no other. If you missed The First Annual Purple Carpet Gala, you don't want to miss next year's event! And if you were in attendance, you know what to expect and so much more! The Purple Dove brings elegance and sophistication to Sacramento with our Annual Purple Carpet Gala!!! Stay tuned for more exciting updates!! Early "Dove" Special ends June 10, 2018! Get your tickets NOW!